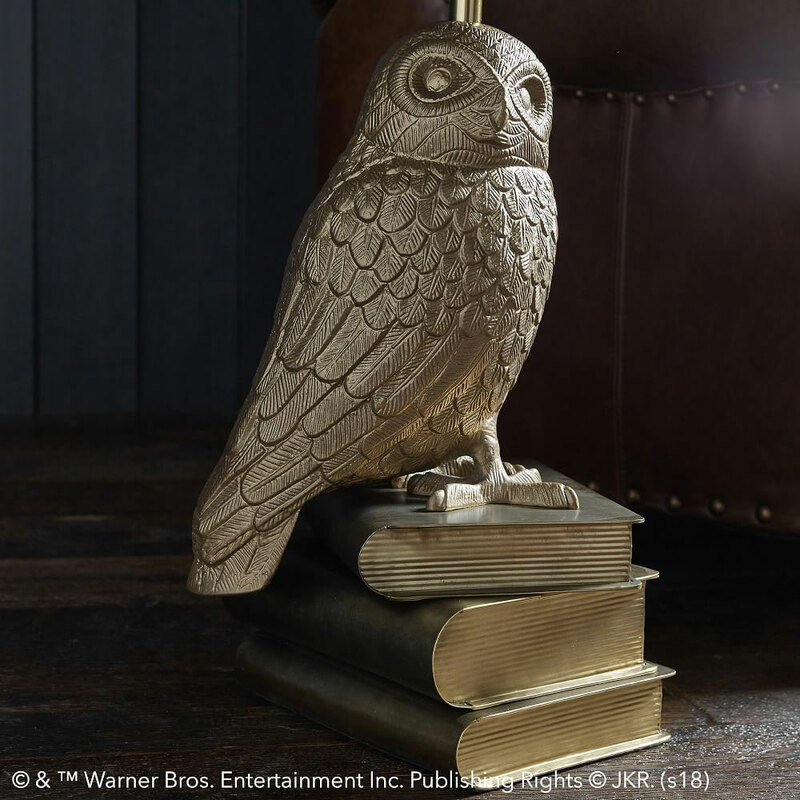 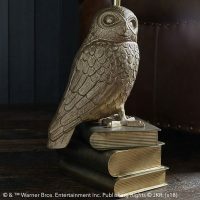 If your room is decked out with other Harry Potter furnishings, such as the Great Hall Bed and Great Hall Dresser, you should get this Harry Potter Hedwig Nightstand to place next to your bed or favorite chair. 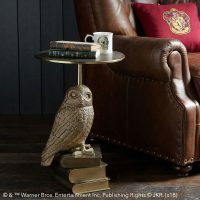 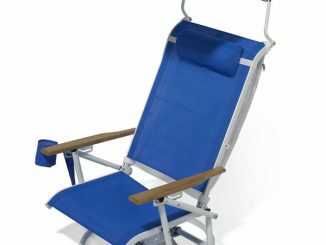 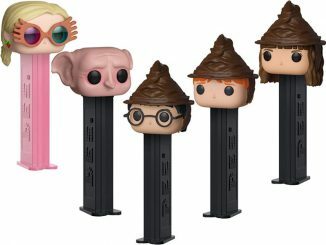 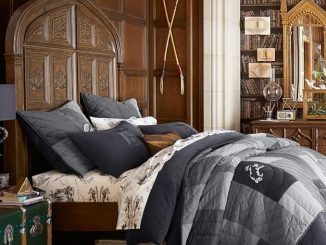 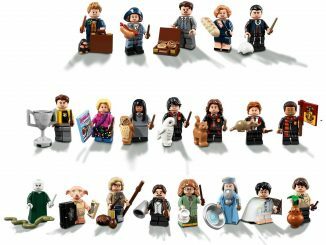 It will give you a place to put down your Harry Potter book when you’re done reading for the night. 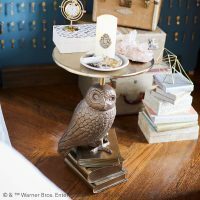 Made of steel and aluminum, this Harry Potter Hedwig Nightstand features Harry’s pet snowy owl perched upon a stack of books. 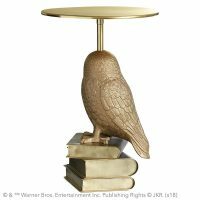 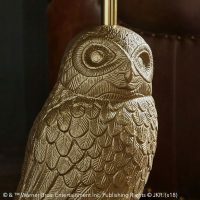 It has a combination of “hand applied semi-gloss brass finish and powder coated finish on the owl.” There’s also a long-lasting gold finish that is electroplated to the table surface and books. 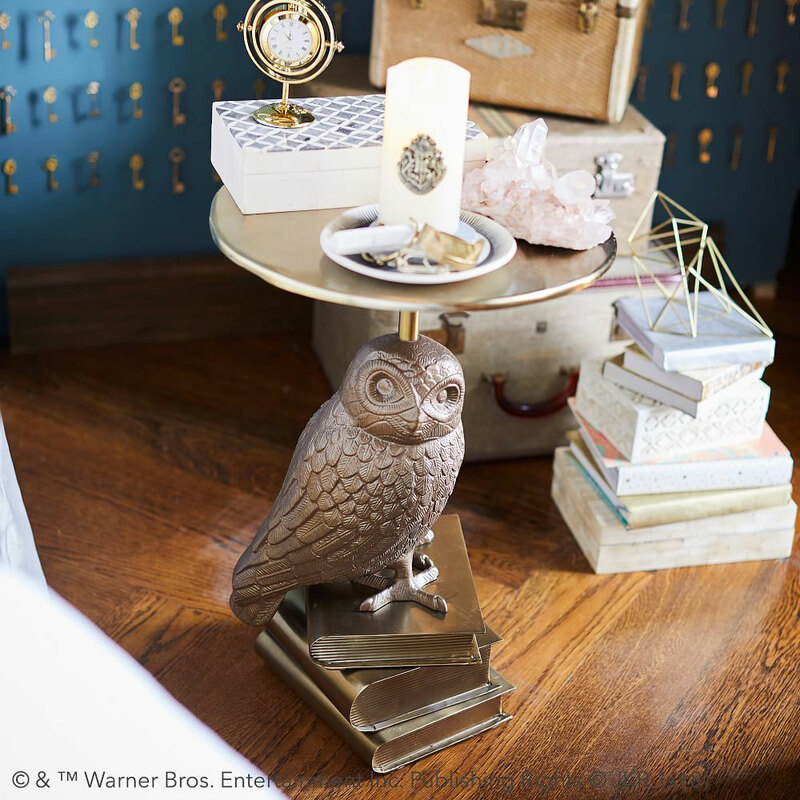 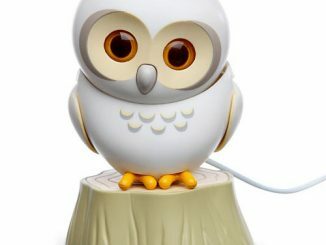 For an enchanting and unique piece, go with this Hedwig Bedside Table. 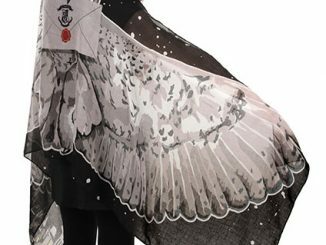 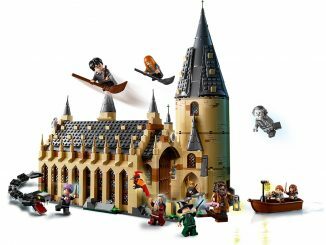 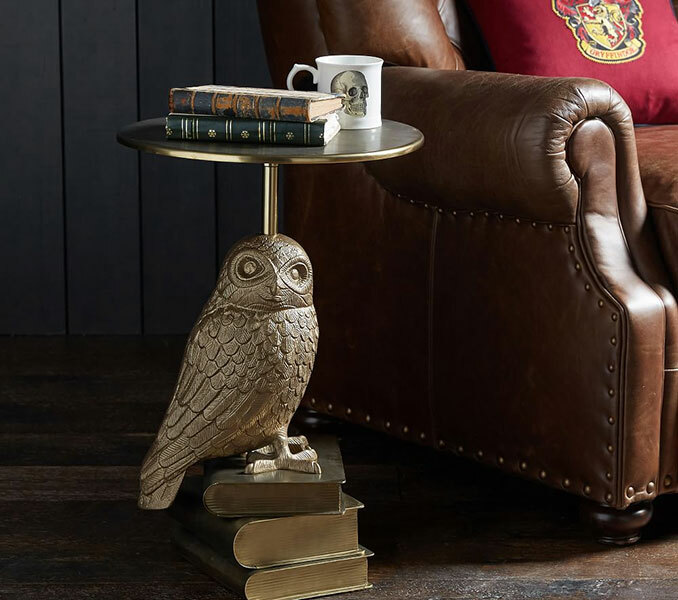 It features Harry Potter’s loyal pet owl Hedwig perched atop some textbooks to keep all your nighttime essentials conveniently at your bedside. 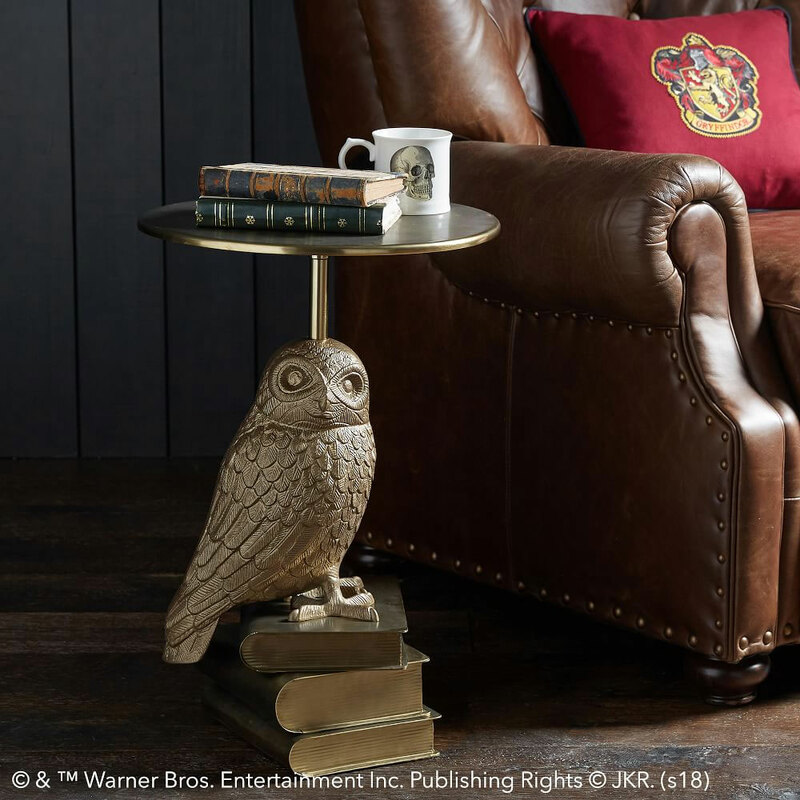 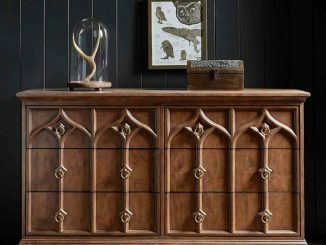 Available exclusively at PBteen, this Harry Potter Hedwig Nightstand costs $349. 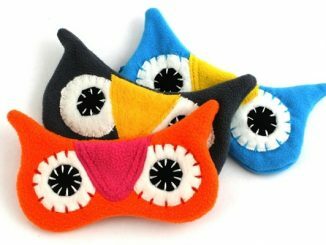 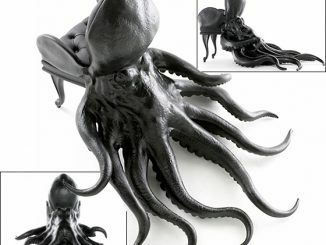 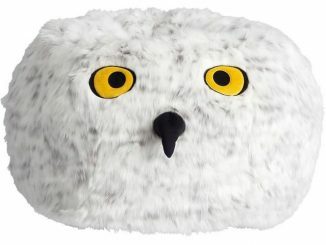 Also, take a look at the delightful Hedwig Beanbag Chair.